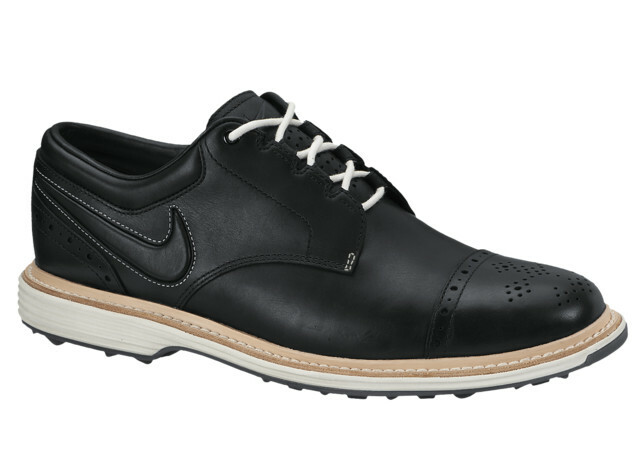 Nike Golf presents the new Lunar Clayton, a tasteful design combining classic golf styling with Nike's newest technology. 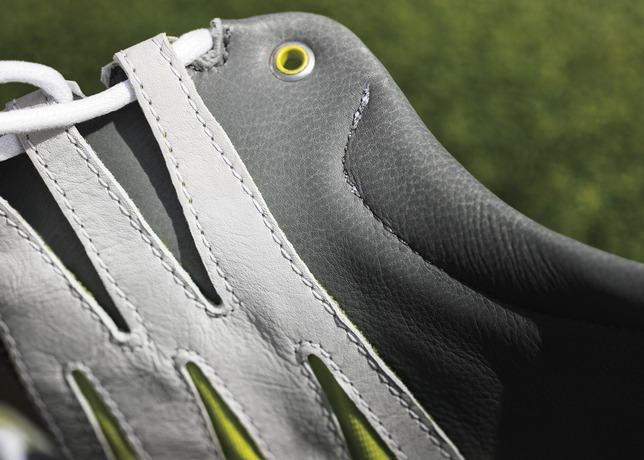 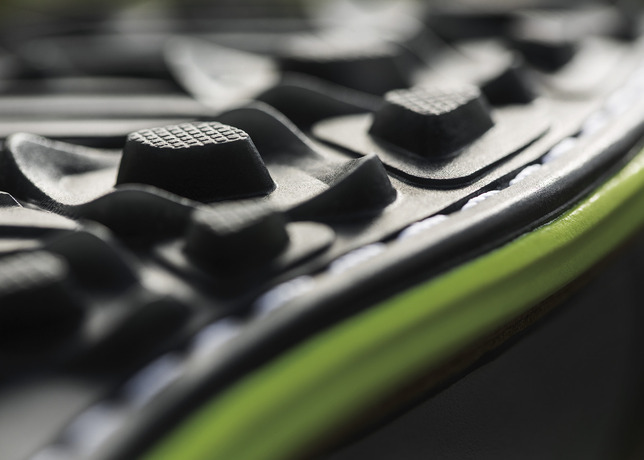 The shoe features a handcrafted, waterproof leather upper with semi-brogue detailing. 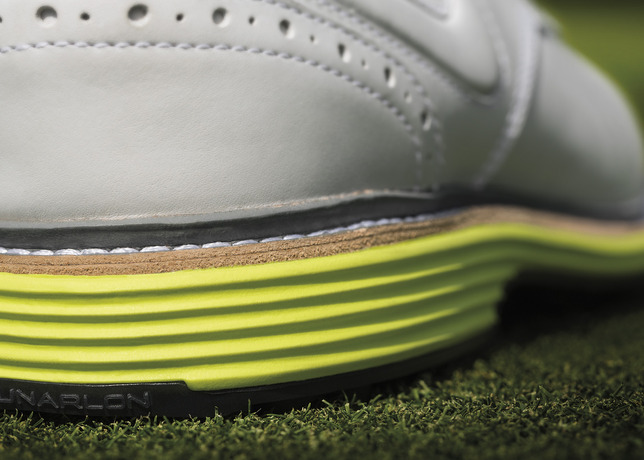 A leather welt joins the upper to the shoe's modern Lunarlon midsole, while Dynamic Fit technology provides stability and lock down. 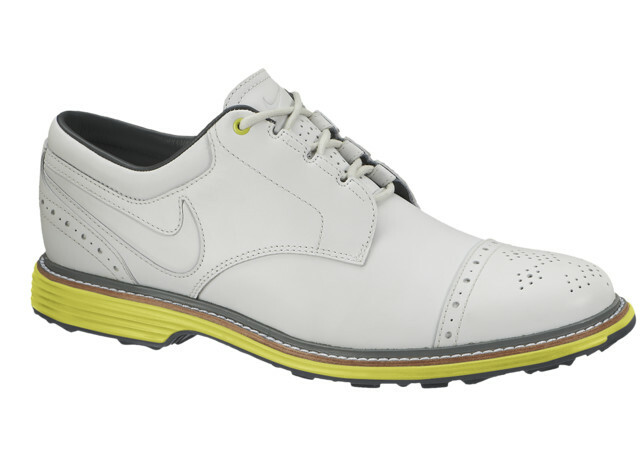 The Nike Lunar Clayton will release in White / Venom Green / Cool Grey and Black / Black / Sail colorways on January 1, 2014, with a suggested retail price of $249.